25th Brigade which was moving forward to take offensive action. While Japanese patrols probed the position, the 3rd, 2/25th, 2/31st and 2/33rd Battalions plus the 2/14th and 2 /16th Composite Battalion deployed across the ridge. On 14 September Brigadier Ken Eather, commanding the 25th Brigade, took over from Brigadier Porter. Determined Japanese attacks on 15 September were repulsed but by the following morning Eather thought that he would be better off withdrawing to Imita Ridge. Most of the troops had withdrawn by night, but a small covering force successfully ambushed the advancing Japanese next morning. The 25th Brigade had not been defeated but Eather believed that by withdrawing he would be in a more secure position to return to the offensive. The Composite Battalion was ordered to move rearwards as it was now down to 272 men. During the campaign the 2/14th Battalion had lost 119 killed, and 137 wounded. The 2/16th lost 69 killed or died of wounds and 94 wounded. 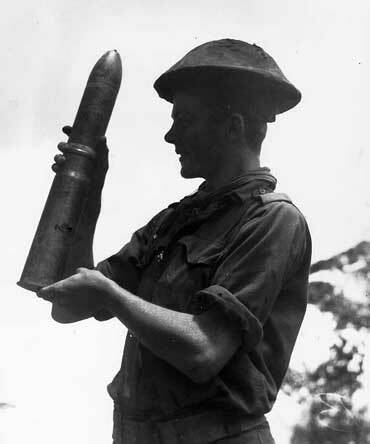 The Japanese occupied Ioribaiwa, only 42 kilometres by air to Port Moresby, but they were at the end of their tether. They had been sent forward with the minimum of supplies, and were now down to less than a cupful of rice per day. The Japanese war correspondent, Seizo Okada, described their arrival at Ioribaiwa: “The sea! It’s the sea of Port Moresby! Wild with joy, the soldiers who were stained all over with mud and blood, threw themselves into each others arms and wept”. To their bitter disappointment they found that the Australians had left few supplies. Then, for the first time they began to be pounded by Australian artillery. Meanwhile, following the reverses in the Solomon Islands the Japanese high command ordered the South Seas Force to withdraw to the north coast. 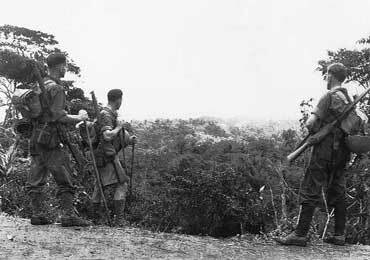 When the Australians mounted their attack on 28 September, as the first step in the counter-offensive, they found that the Japanese had gone.